Pros: A beautiful and witty performance – as endearing as it is comic. Cons: A greater emphasis on the feelings of the three characters, rather than their memories, might have been valuable. This topical exploration into the minds and memories of three elderly care home residents is brilliantly done, insightful and deliciously funny. Having seen a few large-budget plays recently (A Small Family Business at the National Theatre and Let The Right One In at the Apollo) it’s refreshing to go back to a stage with a few simple props. It is a reminder that it doesn’t take much more than talented actors, scenic music and a dose of imagination to create scenes that take the audience into the depth of the Amazonian jungle, to the lofty heights on top of the Eiffel tower and, most brilliantly, into the minds and memories of three elderly people. No Place Like by Le Mot Juste is a beautiful piece of theatre that was inspired by the true stories of elderly residents living in care homes in Stratford-upon-Avon. It is both funny and touching, cleverly weaving in and out of the present and the past. 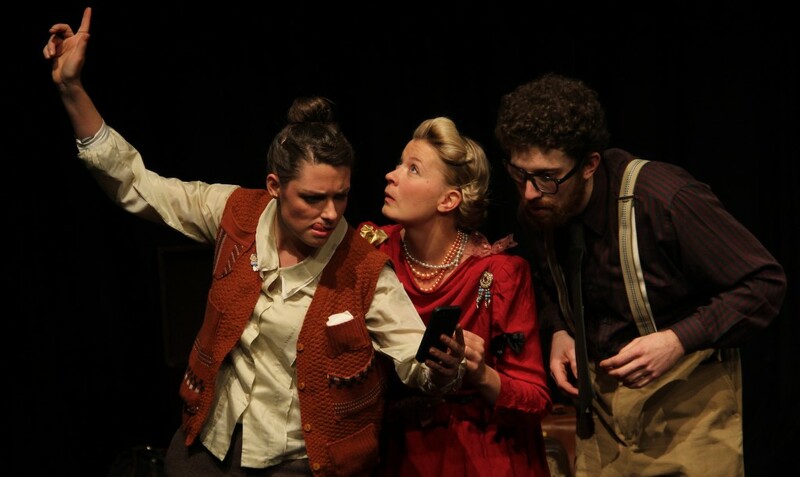 Sophie Winter, Ben Hadley and Monika Lindeman play three friends who begin by celebrating a birthday and end by drinking tea, but have many (absurd) adventures in between. It is testament to the talent and insightfulness of these three that the play is never disrespectful or patronising, but thoughtful and engaging as well as superbly clever and witty. I was never quite sure of the storyline, which is interspersed with one of the three falling asleep and dreaming about times past. Talkative Jean imagines herself saving Sir Donald Attenborough’s life (yes, Donald) while on a dangerous trip up a treacherous mountain. Rosa dreams of herself as a snowy pigeon soaring high above, meeting her mate, and falling in love, and imagines herself on a hilarious road trip down to France with her moustached lover. Poor grumpy Grantley meanwhile is haunted by his having left his wife, and his son, the latter of whom cannot forgive him. Are these real memories? Or simply fantasies? And do the three actually try and leave their care home for their “real home”, or does this only take place in their minds? In some ways, I felt as though magically, time had sped forward, making myself advanced in years, forgetful, and unsure about the realities around me. The fact that the play also moved along a little slowly (in a charming way) helped this feeling along, and the experience was by no means unpleasant, but cheering, thought provoking, and endearing. There were many elderly people in the audience, and I would love to know what their thoughts on the play are. One small quibble I might have is that I would have liked to know more about the feelings of the three protagonists, alongside the memories. Are they satisfied with their lot? This might not have been the point of the play at all, and the question might be too complex to answer without resorting to caricature and exaggeration, so I’m not sure about it. I did leave feeling, however, as though I somehow hadn’t got to the heart of the three protagonists as much as I would have liked to. This is a beautiful and poetic play that is all the more relevant as our society grows steadily older. Also, the Pleasance Theatre in Islington is always well worth a visit. I left feeling thoughtful, warm and fuzzy, and desperately craving a nice hot cuppa with my grandma. 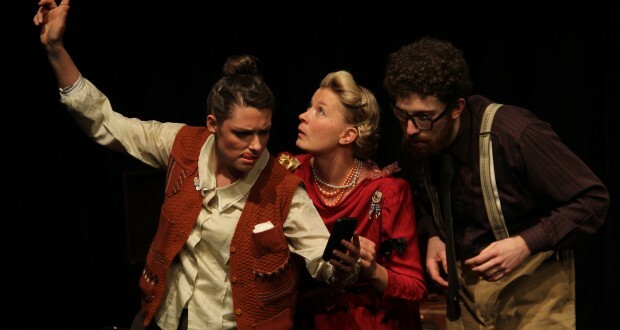 This performance has now finished its run but will be at The Corn Exchange (Wallingford) on 11-12th April. See below for details. Booking Until: April 11th-12th (Corn Exchange, Wallingford). Aspiring arts manager. Having moved to London in search of a better and more exciting life, Elke left a small Swiss village behind her and found herself in this big and ruthless city, where she decided to join the throngs of people clustering to find their dream job in the arts. She considers herself a bit of an actor, but wasn’t good enough to convince anyone else. She loves her bike, and sitting in the sun watching the world go by. Elke firmly believes that we all would be fundamentally better if more people went to the theatre, more often.